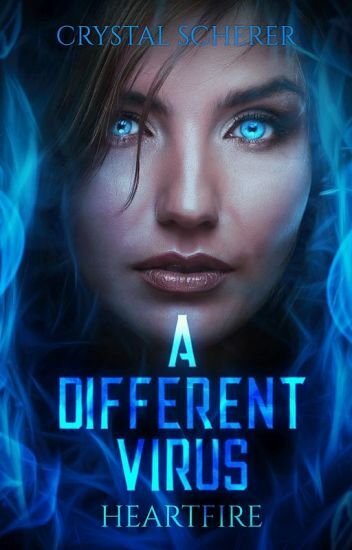 Fourteen year old, Emma, used to live a typical life but after a world dominating infection spreads, her life is far from normal. Now, she is alone in the vast word, trying to survive in the apocalyptic world. her family is gone, she has no home, and she is constantly confronted with trouble. With many challenges and life threatening choices, will she beat the odds? Her hope is kept alive, knowing that there must be other survivors. Some are good, but some have been crazed by the brutal end of civilization. Will she be forever alone? Or will she find a loyal group to face this new world? Vial #127 is  captivating story of trust, hardship and perseverance. Join Emma on a life changing journey though many desperate situations. Ride with her to see if she will survive. What do you do when you are one of the infected? The virus in my blood is trying to steal my humanity. It alters my very thoughts and reactions. It taunts me by tempting me with desires that it planted in my brain. These bloodthirsty desires would lead to my demise if I ever gave in. I have more in common with the zombies than with humans at this point. Even the fallen zombies accept me as one of their own. Blood is required to retain my grip on sanity, but the sweet smelling blood from humans is a short path to madness. Human blood is to be avoided at all costs. Humankind around the world was driven close to extinction by the sudden appearance of the zombies, yet small groups of survivors constantly manage to appear and put my control to the test. I obviously wanted nothing to do with them. Why were humans so bloody persistent? I altered my direction a bit and picked up some speed, but the ground shook from the vehicles as they closed in. The car and truck angled towards each other before slamming on the brakes to form a roadblock. The car slid right in front of me, close enough that I could feel the heat from the engine as the front of the car went by me. It was close enough that I didn't even have enough space to slow down. Not that slowing down had been in any of my plans to start with. This is a standalone zombie book that has nothing do to with any of my other stories. I wanted to try a book with an easily irritated main character and a nutcase secondary character. This book has a slightly darker outlook at the beginning than my usual stories, but it has some humor further along. Definitely not a horror story, although it has its share of action. There is no romance. The cover was lovingly crafted by @stiles24stilinskiXD. A huge thank you to her for her phenomenal work! Ranked #1 on September 15, 2017. This is a second view point from my original story - A Different Virus - Heartfire. I highly advise reading the original book first. Laura was a happy child without a care in the world. She loved her parents and life was perfect. Nothing seemed like it could go wrong. People started talking about a bad flu that was spreading and sending some into a coma. Her parents grew worried and stocked the house in case of a pandemic. Months later another virus appeared. Her family was shocked when the news people started reporting that zombies were actually real and not just part of a horror movie. They were appearing in every country. Her parents reassured her that none of the zombie sightings had been anywhere close to them. Her life is turned upside down when her father ends up in hospital with the bad flu and mother exiles her upstairs for her safety. She was never allowed downstairs again. Weeks pass and the streets become deserted with the exception of the red eyed zombies that wandered around. One night she notices a swiftly moving figure with glowing blue eyes in the street below. Should she call out or remain silent? Is this fleeting shadow something that can help her or could this mysterious figure be even more dangerous than the zombies themselves? This story is copyright and built from my own imagination. This book was a special request from someone who helped me a lot. This viewpoint has less action than the original. The cover was made by @All_AboutAssymetry. A huge thanks to her! The Year is 2166: To the people of Earth, the universe seemed to be a very lonely place. Astronomers have discovered tens of thousands of planets; many had indications of organic life. SETI had been searching for signals for over 200 years. There had been a few tantalizing bits of radio or radar energy received but nothing ever proven to be of intelligent origin. The watchers were astounded with the speed of progress of human science and also horrified at the periods of violence. By 2076 nuclear fusion power was widespread on earth. By 2100 the first interplanetary fusion ships explored the Sol system. The men and women of the Anglosphere Alliance began their first missions in ships approaching 0.1c. At that velocity, manned flight to even the nearest stars would take a lifetime. He is a candidate in The Elemental Experiment. A program designed to improve the average human and "create" immortals. But how far will they go? Join Uriah on his journey in a story filled with magic, love, betrayal, and passion. Is it truly possible to make a simple human immortal? A student that likes to make things has died by getting hit by a car, but then he realizes that he can reincarnate in another world, with the powers to create anything and enhance them, and with the power of never ending mana, he seeks out a journey to find about the rest of the world, will he suceed, or will he fail to find about the world he is on? Just a 1.5k word story per page. pictures are not mine I REPEAT Pictures that is posted here are not mine. Also when you guys found some wrong words or grammar please tell me, I am just writing this on my phone.